FBI agent Kaden Farrell is on a mission. 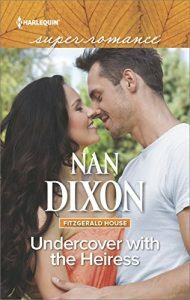 He’s undercover at Fitzgerald House in Savannah, where a little girl is the key to his investigation. And that’s what he needs to focus on, not a down-and-out heiress whose jeweled eyes haunt his dreams.